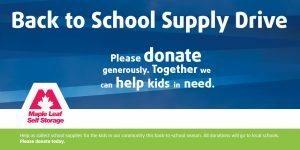 The Maple Leaf School Supply Drive 2018 is here! 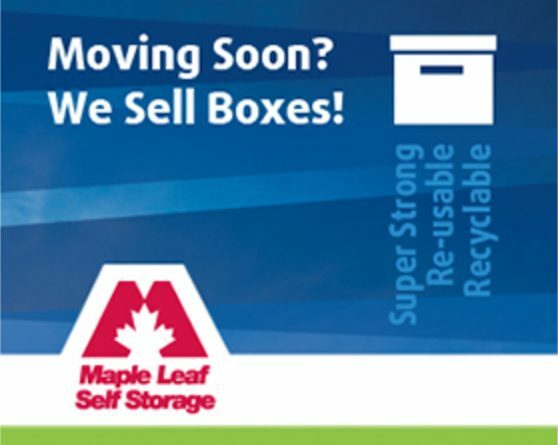 Back by popular demand, the Maple Leaf Self Storage School Supply Drive returns for the 4th year. We have partnered with Two Men and a Truck and Sparta Movers again to help transport the items collected in BC and Alberta, respectively. We couldn’t thank these great partners enough for donating their time and effort to help the community. Starting today and running until Wednesday, September 5th, we will be collecting NEW school supplies for local schools and charitable organizations. Last year was our 3rd year running the school supply drive. In total, we collected 26 moving boxes (from small, to medium to extra-large) full of the most needed school supplies between our 10 BC locations, four Calgary locations. We donated the supplies to the Coquitlam Fire Fighter Charity, Cambie Community Centre’s Out of School Child Care in Richmond, Central Community Elementary School in Port Coquitlam, Urban Native Youth Association in Vancouver, and the Calgary Board of Education. The supplies were warmly welcomed by the recipients and will definitely put them to good use. Help us exceed last year’s total by donating some of the items listed below.